As we know there will be much change this January at Ibrox, but two players could be arriving in Govan looking to get their Rangers careers back on track; Joe Dodoo and Greg Docherty. Rangers’ issues up front are well documented, and with Umar Sadiq returning to Rome in January and Kyle Lafferty’s form issues, we at Ibrox Noise have long-vaunted a second chance to young Dodoo, who is having some fine form in England right now with Blackpool. It’s taken the Ghana-born forward a little while to find his feet, and it could well be that life on the seaside has prepped him at last a little for sustained proper football and while there’s no guarantee he’ll thrive at Ibrox, it’s evident the lad has more ability than he’s been given credit for. And then there’s Docherty. Another goal last night for Shrewsbury, and it becomes more and more evident this lad never needed to go out on loan – he’s already ready for Rangers, and always was. He’s been a true pro – he’s dug in down south, never complained, and got on with his loan spell despite the way he was cast aside this summer. 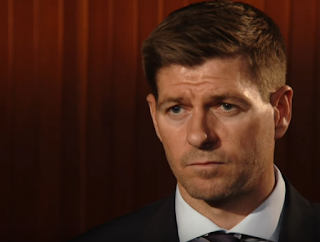 And his goals for Shrewsbury show he has every inch the quality and ability he looked like he had earlier this year for Rangers – and reports are that Gerrard is ready to welcome him back next month. Rangers have talent out on loan – and January should see at least two of them come home to give us serious options and further depth. And that is only good for the club. Always been a big Docherty fan happy to see the lad back . Not sure about Dodoo he could be an option I suppose but he's not really at the level we need . Think we should be looking at the Croatia Serbia Market. Dodoo, glad he has scored some goals recently. Should enable us to get a few quid for him. he was not, is not and sorry, never will be the answer. Dodoo was never played in his natural position as a striker, he clearly has ability, is young and could become a real asset, Docherty will thrive if he comes back, more ability and strength than Arfield, he will boss the league when given a run and confidence. I've always rated Dodoo and agree with Jackobyte, he was always asked to play wide...never through the middle. Impact player...remember how how changed the games v Partick and Aberdeen when he came on. Hope he gets a chance this time to show what he can do. Getting these two back will help, but we really need to get rid of the ones taking money that we don't want or need.